RHODES RANCH COUNTRY CLUB-GOLF FRONTAGE. 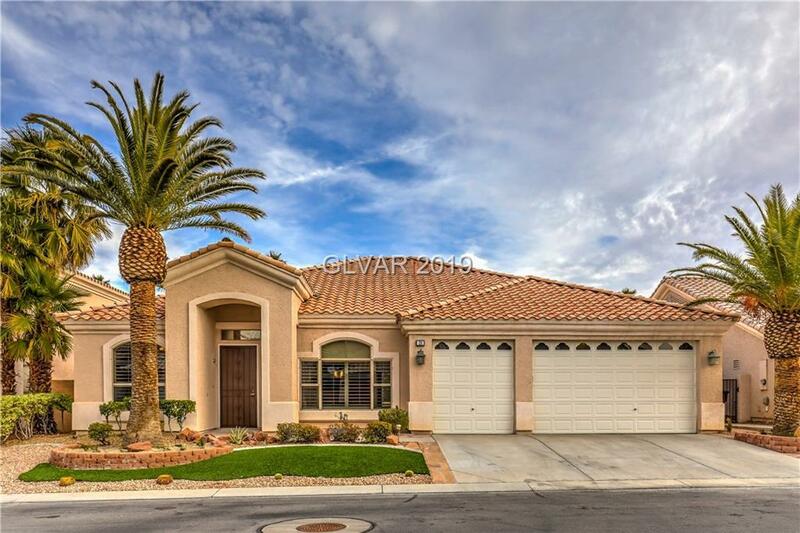 24 Hr Guard Gated Community; Large Single story, 3 Bdms , 2.5 baths, Formal Living, Dining Rms, Upgraded to the max!! Fireplace, Dream Gourmet Kitchen, Outside built in FULL kitchen, Covered Patio, Roof top Balcony w/views Custom Closets, Separate Heated and cooled room that could be a studio or an office etc...Granite counters, Fully professional landscape; Many community amenities! !